CMAS President Mrs. Anna Arzhanova plans the actions of the new era of CMAS to protect marine ecosystems such as underwater flora and fauna and, to prevent the pollution of sea and oceans, as well as the protection of archaeological heritage. For this purpose, the project entitled “CMAS Blue Helmets of the Sea” was launched under the umbrella of CMAS. Pillar of "Blue Helmet Schools" project is conducted by the faculty members Prof. Dr. Levent ÇAVAŞ and Prof. Dr. Bülent ÇAVAŞ from Dokuz Eylul University. Dokuz Eylül University (hereafter DEU) Private 75. 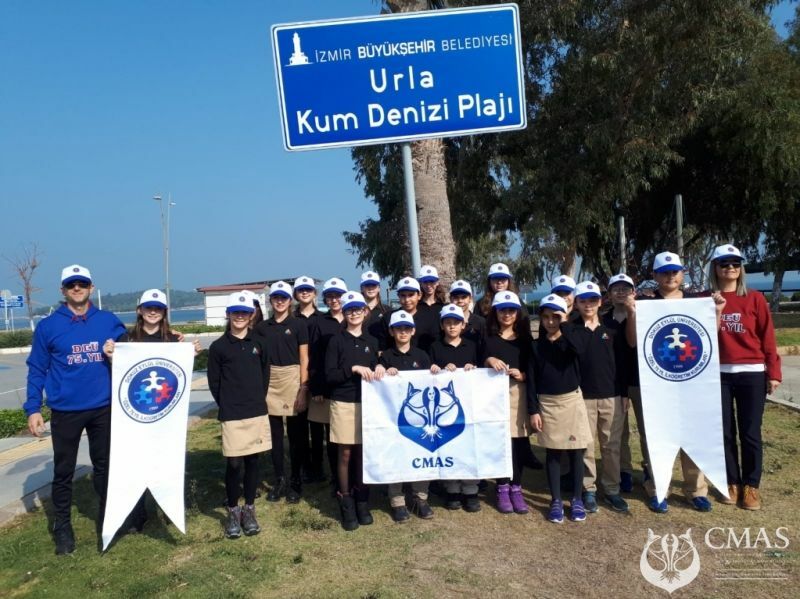 Yıl Educational Institutions in İzmir (Turkey) have been chosen as the pilot school of “CMAS Blue Helmets of the Sea Blue". 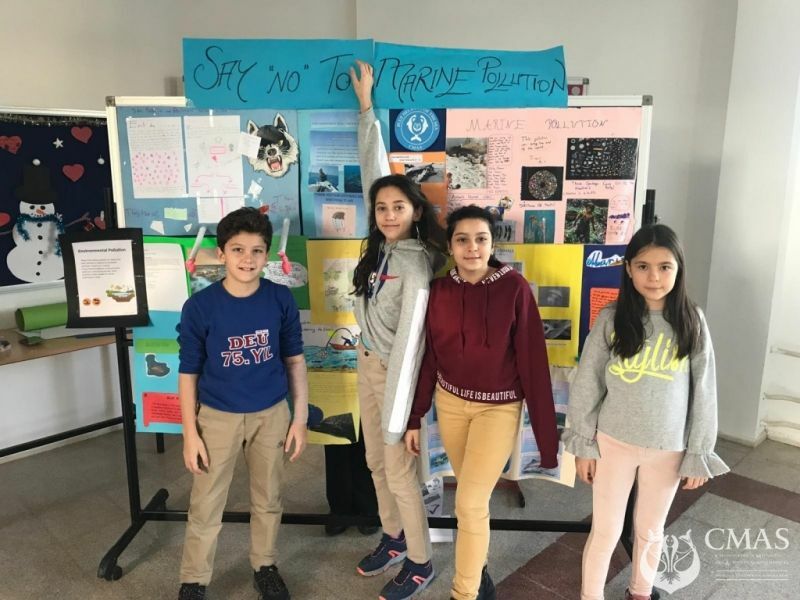 A logo of “CMAS Blue Helmets of the Sea” was designed by the students with the help of the ceramic’s teacher and a three-dimensional logo model with the theme of endangered fish was also designed. 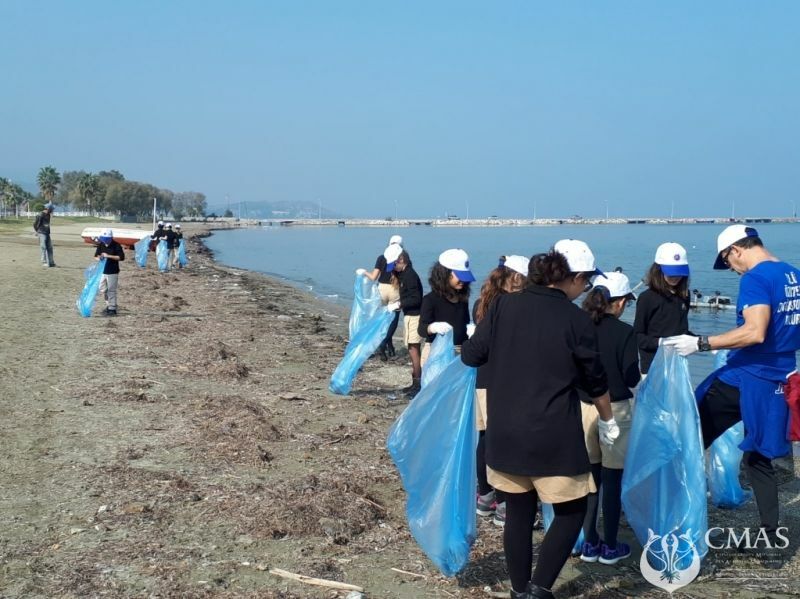 A Kindergarten field trip to “Fantastic Aquarium İzmir” was organized to observe "Life under water” and a coastal cleaning trip to İzmir “Urla Kum Denizi Plajı” with the student group of the project was organized. 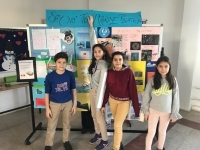 A Photo exhibition on coastal pollution was held using students’ photos. In Math lessons, elementary students were introduced "marine organisms" themed pattern activities. 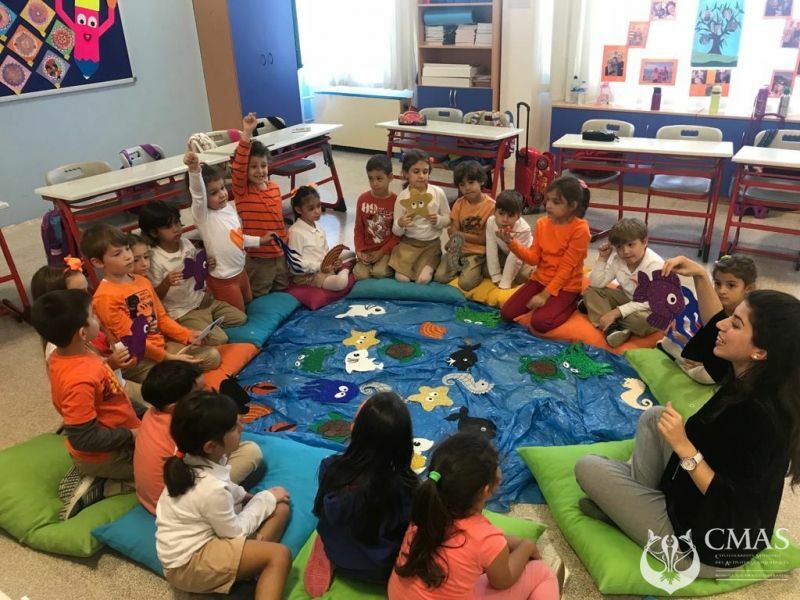 A game and story time activity titled "Let’s Get to Know Marine Creatures" was played by the elementary students. Drawings on marine ecosystem by our students in visual arts class have been done. Under the scope of music events, a marine themed song has been written and composed. 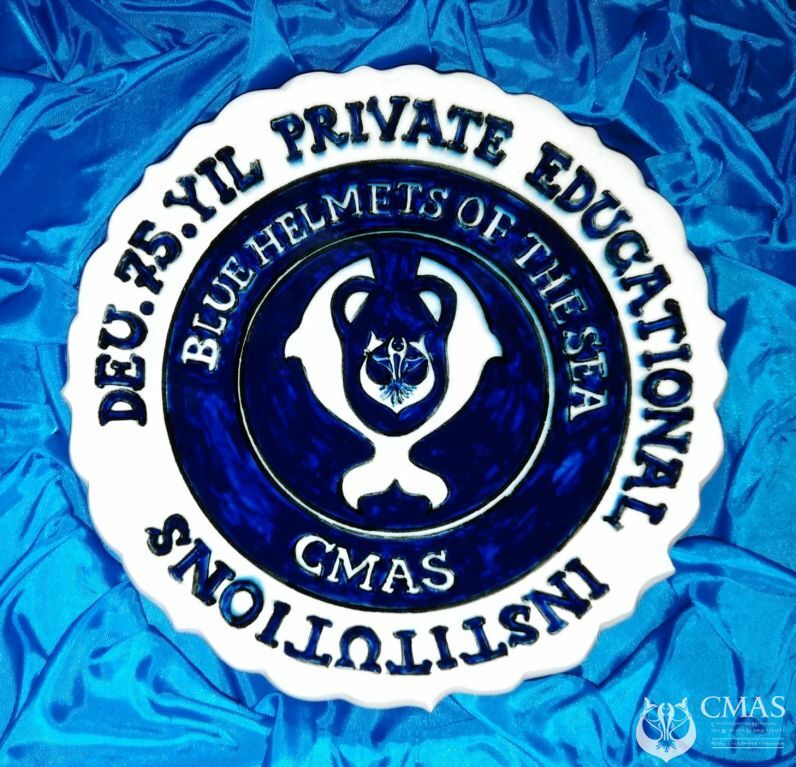 Consequently, the students and the teachers in Dokuz Eylül University 75.Yıl Educational Institutions are currently working to create satisfied activities to get CMAS Blue Helmet of the Sea Flag from CMAS HQ. All educational activities and facilities are presented at the school web page. The other candidate schools can use DEÜ 75.Yıl Educational Institutions activities as example to be implemented in their school. 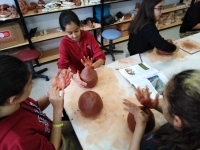 The candidate schools need to get permission to use activities presented at DEÜ 75.Yıl Educational Institutions' Web page. When more schools engaged in CMAS project with the theme of “CMAS Blue Helmet of the Sea School”, a network can be created by CMAS administration. Dokuz Eylül University 75.Yıl Educational Institutions are so happy to be a pilot school of the project. The project team in DEU thanks Prof. Dr. Nükhet HOTAR (Rector of DEU) and Prof.Dr.Aynur AKAY (Vice Rector of DEU) for their valuable supports."